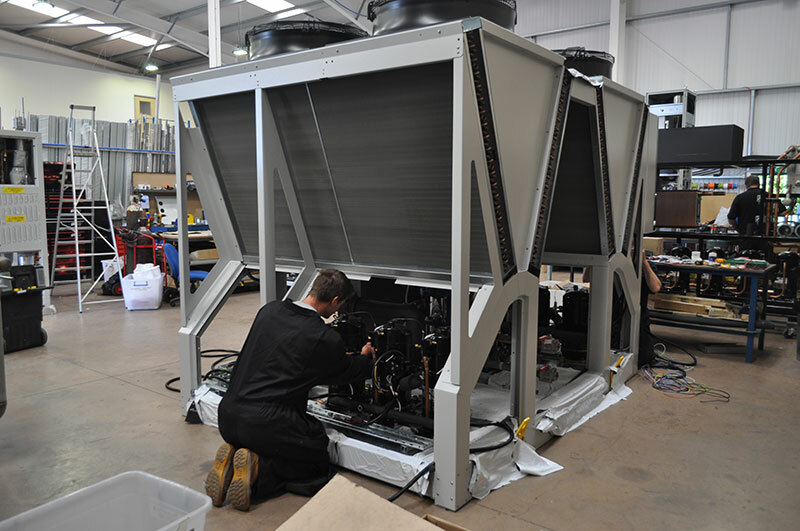 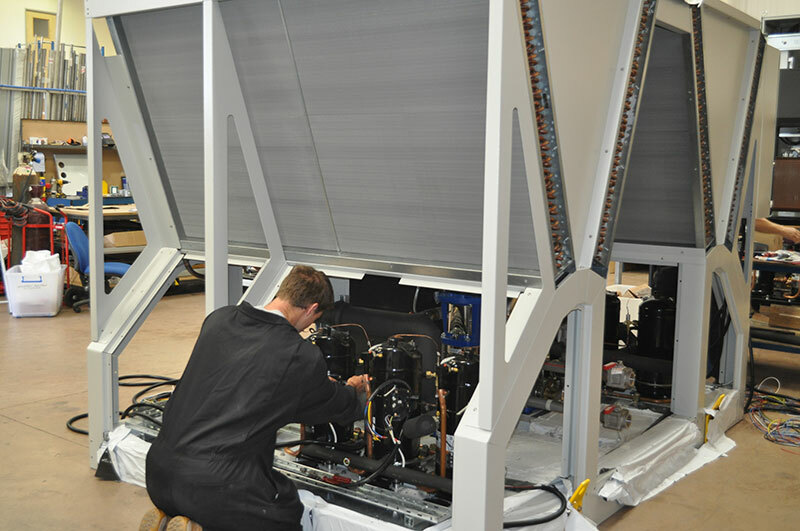 This is a process cooling system designed to be installed outdoors. 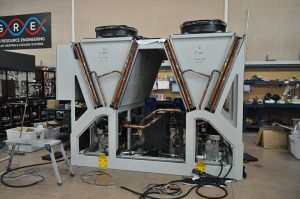 It is a chiller with abilities of Maximum and Minimum operating conditions in ambient temperatures of -15°C + 30°C, with the ability of fluid temperatures on the process circuit of temperature range of -35°C to +30°C. 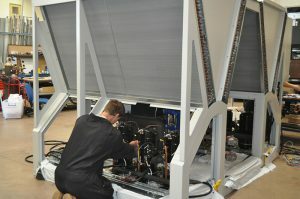 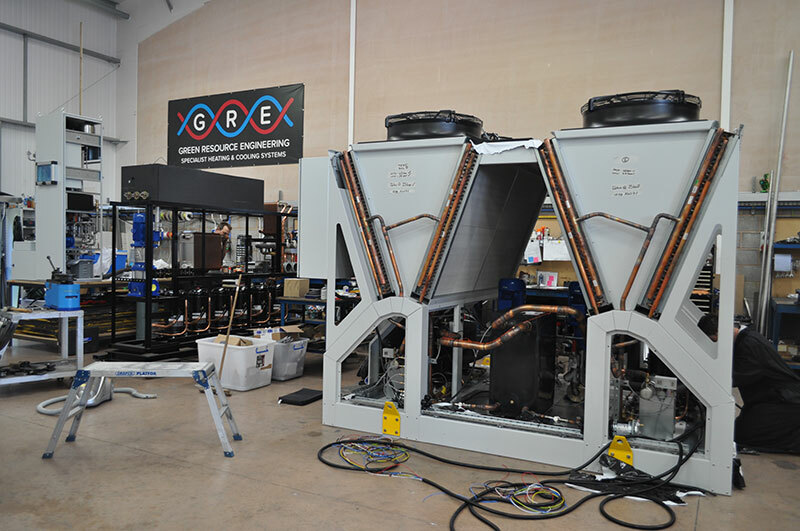 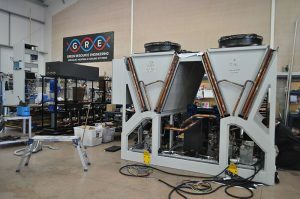 The machine uses cools process fluid via a plate heat exchanger / evaporator. 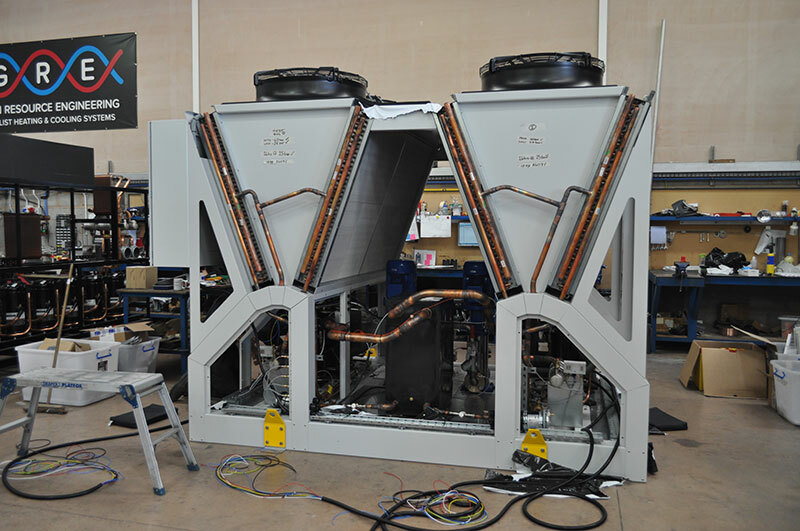 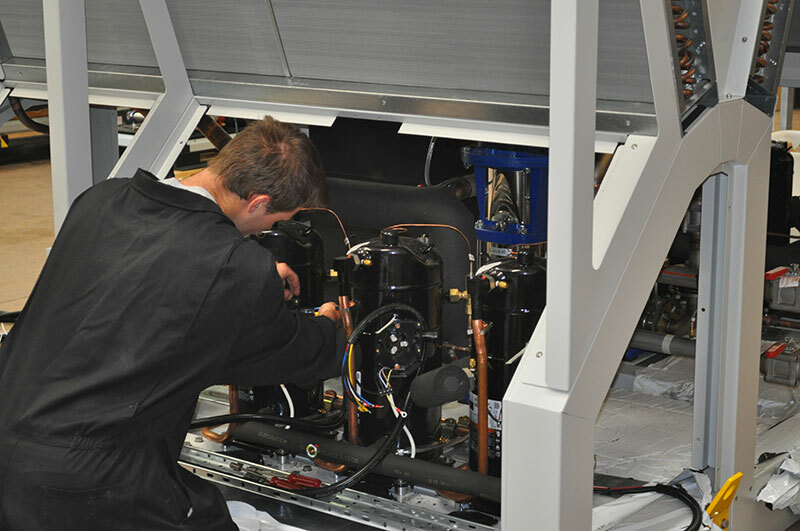 Cooling is achieved by refrigeration using compressors and air-cooled condensing coils.